Whew! That was quite a break. Between moving houses and switching jobs, winter has thawed into spring, and I’ve been a Hungry Texan on hiatus. But no fear! I’ve emerged with a whole slew of new recipes. 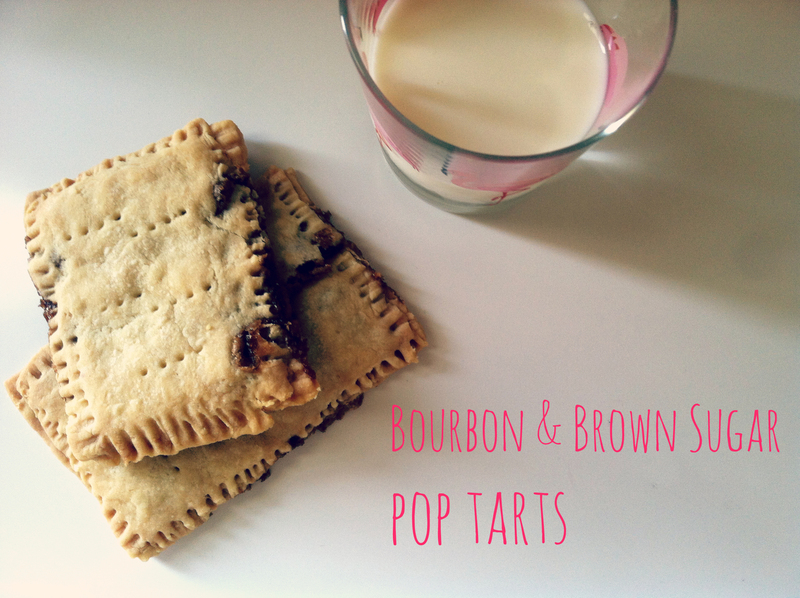 These pop tarts are not one of them. 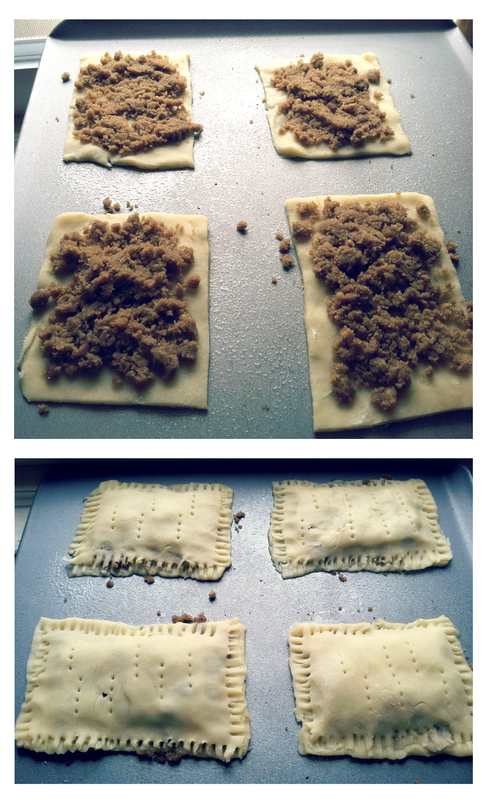 To be honest, homemade pop tarts have been done before. From fruit fillings to chocolatey ganache to savory, you’ll probably find these pastries on the menu of your neighborhood restaurant. 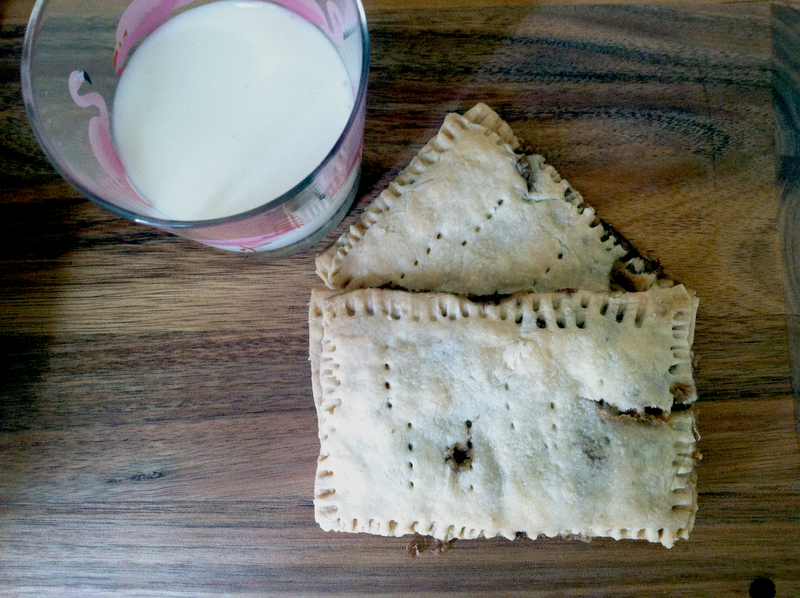 No, homemade poptarts may not be the most wildly innovative recipe in the world. 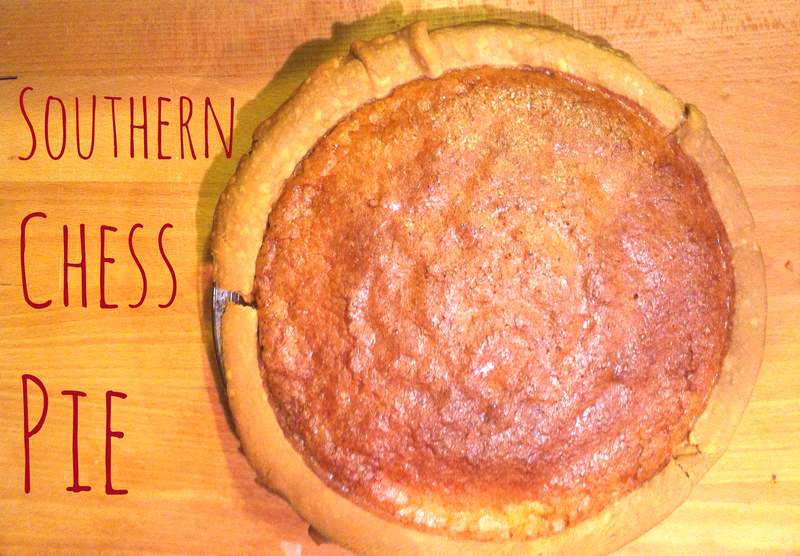 But they’re delicious and flaky and can probably be made with pantry ingredients in a pinch. 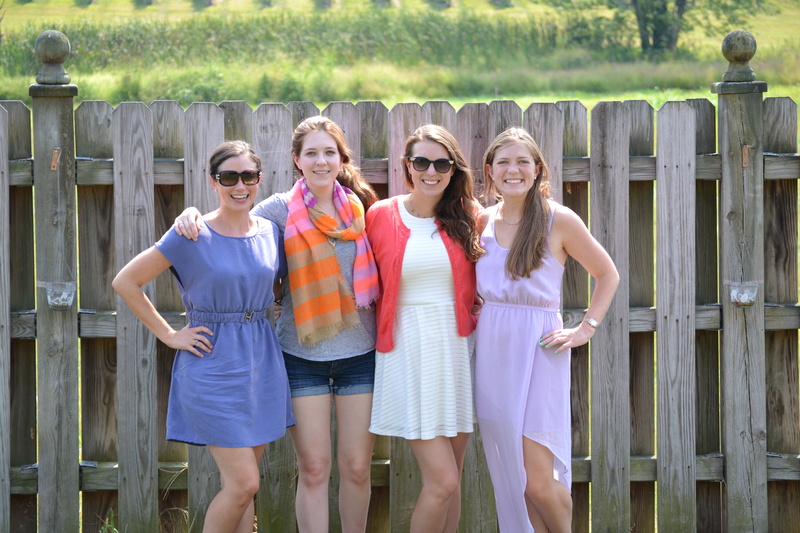 And they finish off a brunch spread like you wouldn’t believe. Plus, this dough was the perfect first recipe for my new KitchenAid Stand Mixer, a birthday gift from my doting boyfriend. Before now, I’ve never been the one to throw together my own crusts or breads. 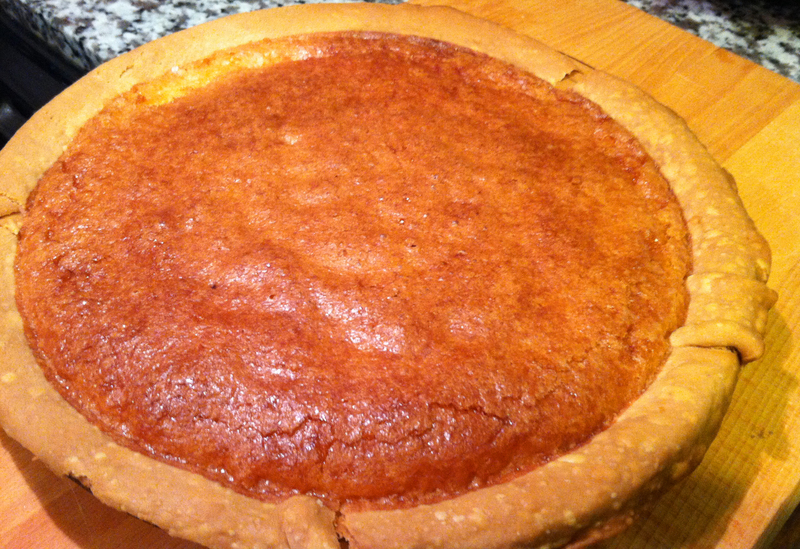 But it’s so easy (and way less expensive than storebought) and makes a great, refrigeratable, flaky crust. 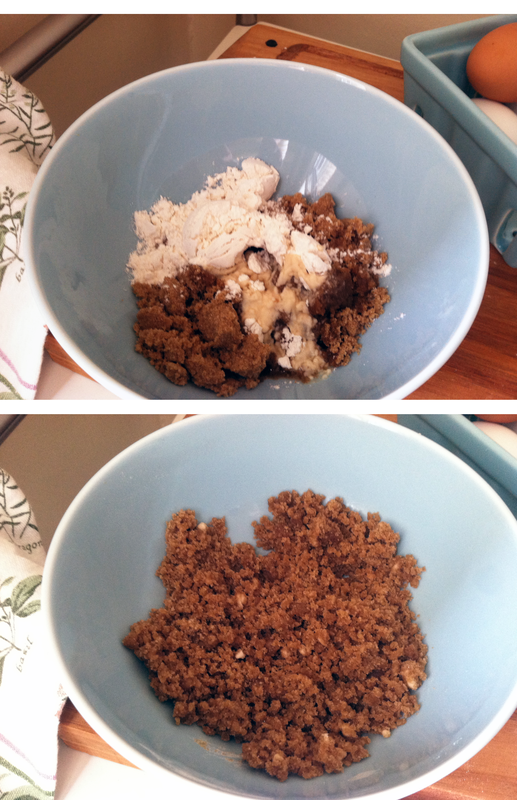 Mix the sugar, flour, and salt together in your stand mixer. 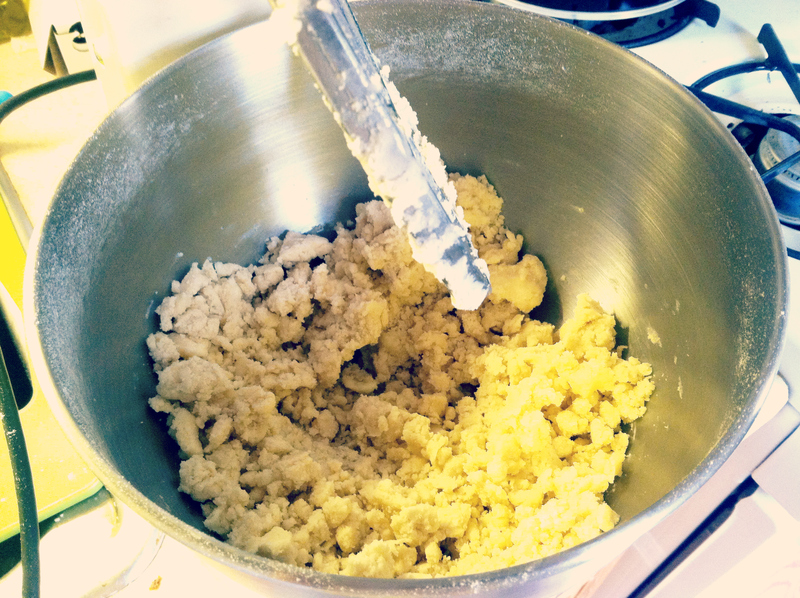 Add the butter, in cubes, and blend until the dough looks like sand, with chunks of butter still visible. 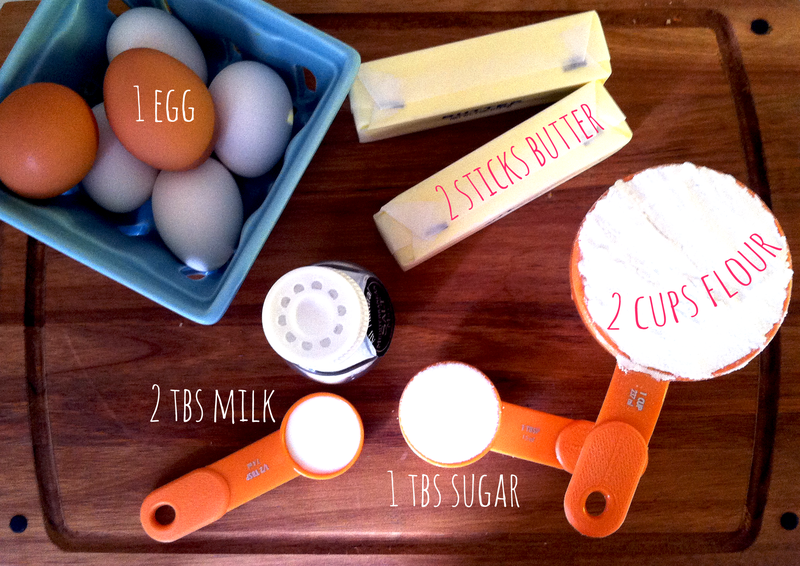 Whisk the egg and milk together, then add to the dough. 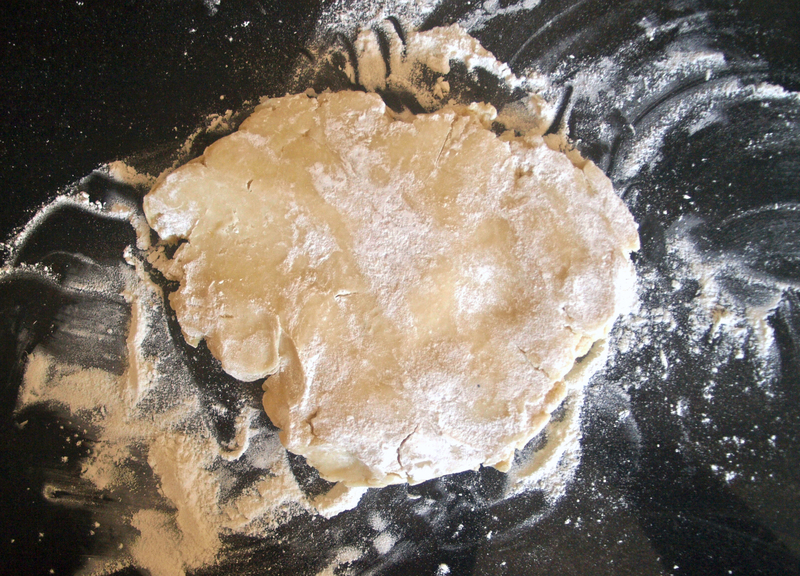 Mix for a few more seconds, until the dough has come together. 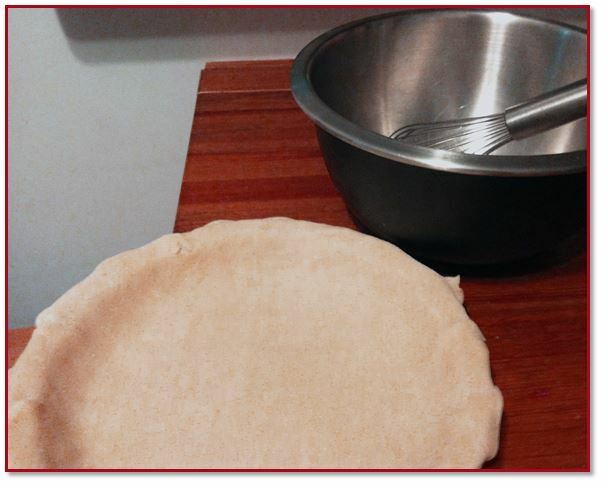 Then divide the dough into two equal parts. 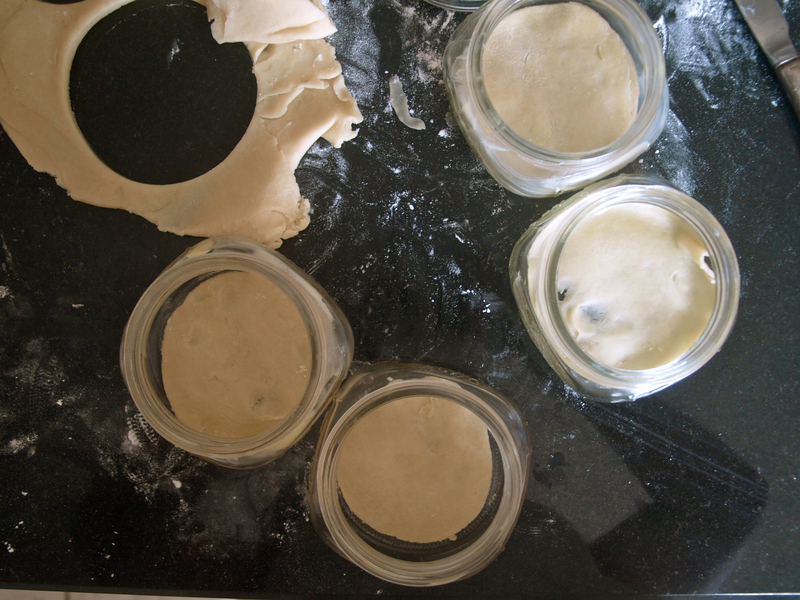 Roll out the dough to 1/8 in thick , then cut even rectangles. Pop the pastry into the fridge to keep it from getting all melty (especially if you have a teensy kitchen that gets quite warm). Then, whip up your filling! 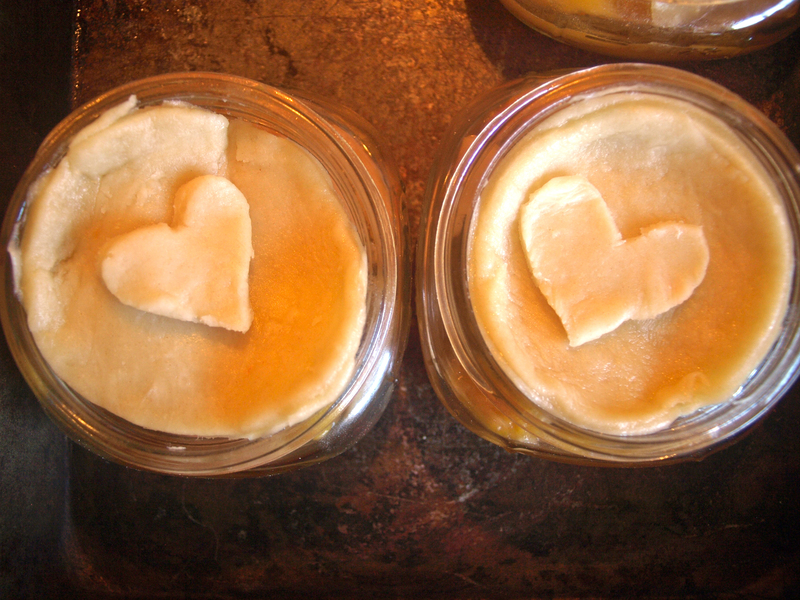 You can fill these with almost anything- savory leeks and goat cheese, balsamic cherries, homemade nutella etc. 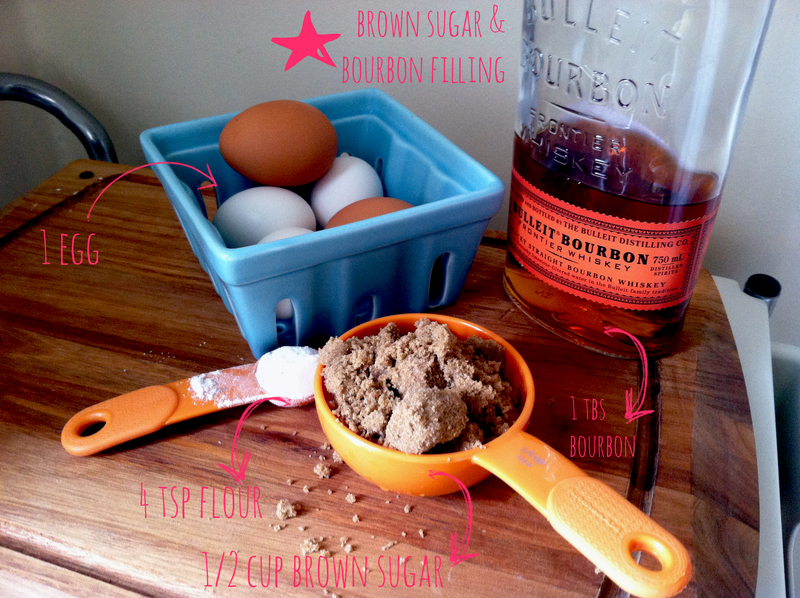 For the brown-sugary filling, whisk together the brown sugar, flour, and bourbon. 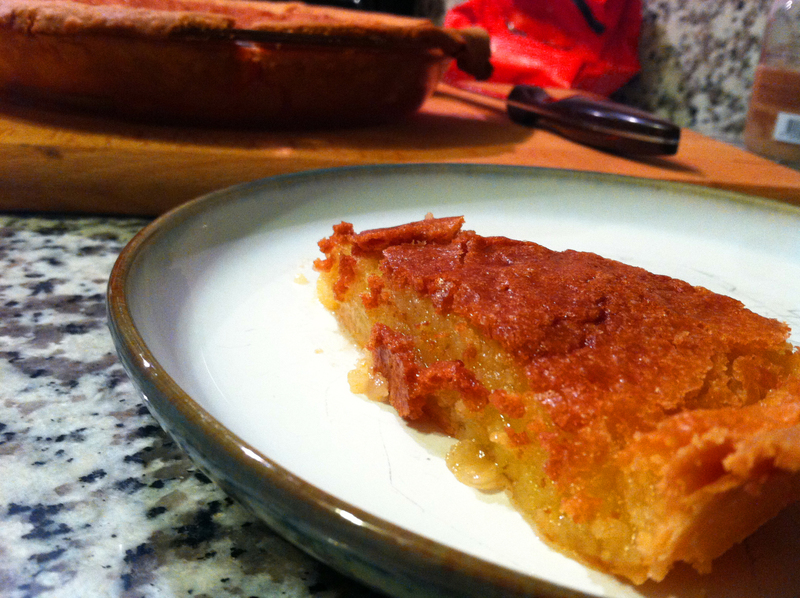 Bake on a parchment-lined tray for about 25 minutes at 350°. 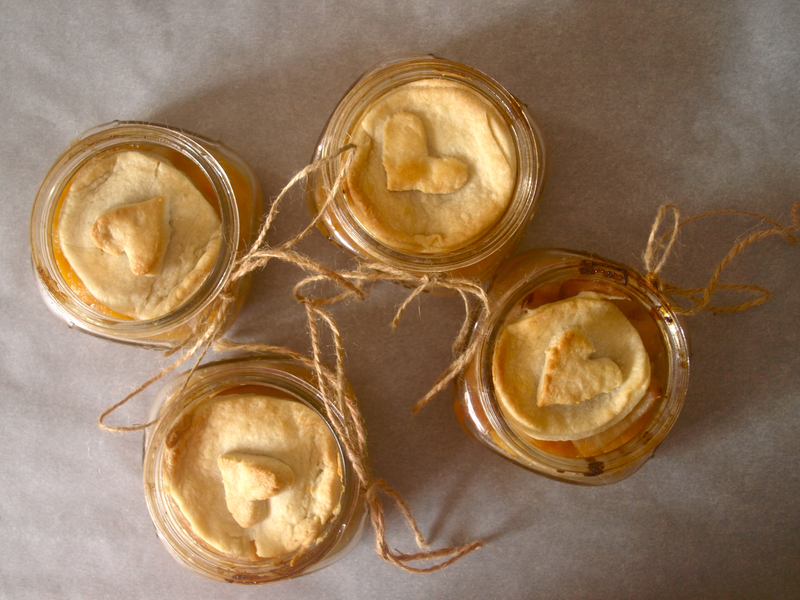 Serve warm with ice cream or on their own! There are few better dinners than a roasted chicken with a hearty side. Last night, we made a really special miso butter roasted chicken, and these mashed red potatoes were the perfect side. On a last-moment whim, I threw in a couple handfuls of blanched kale and a bulb of roasted garlic. The texture from the kale and the mix of of potatoes was a perfect side for a Friday night chicken. Preheat oven to 400 degrees. Slice off the top of your garlic bulb and top with olive oil and a pinch of salt, then wrap in foil and place in the oven for 30 minutes, until the cloves are soft. Boil a large pot of salted water and add your kale. Let the kale boil for ~4 minutes, then drain. Peel your potatoes (I liked a mixture of red and yukon gold because it gives the mash a good blend of textures). And boil for about 10 minutes, until they’re ready to be mashed. Then, add the kale and the roasted garlic. Give everything a good mash, using a hand masher. 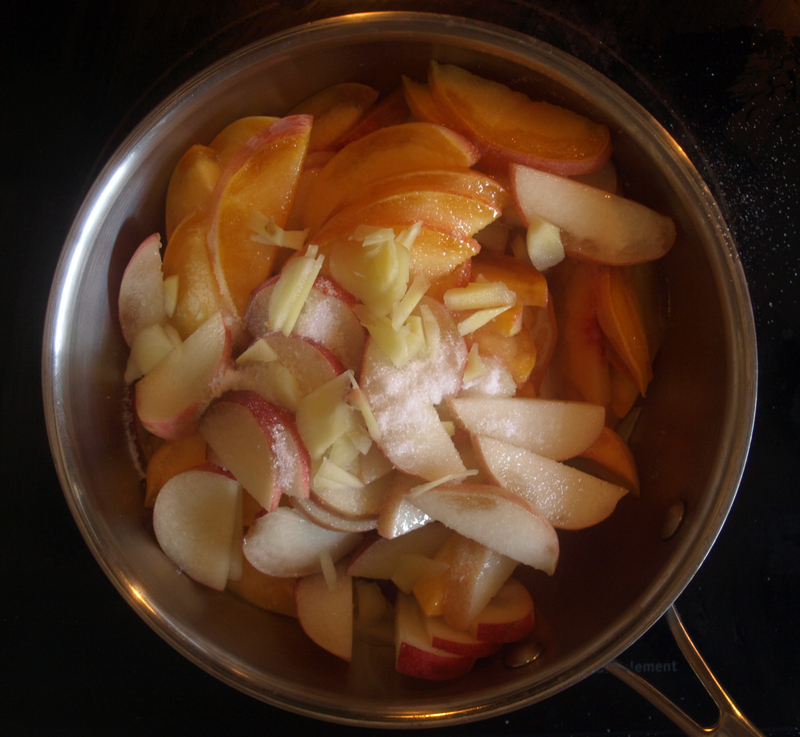 Once combined, add the heavy cream and salt & pepper and give everything a good stir. Admission: This Hungry Texan is not so hungry. After an incredible, veggie-rich thanksgiving dinner at Boston Boy’s family in New York (the Lone Star State was a tad far for me to travel for just a couple days), plus leftovers, PLUS some amazing bagels, I’m totally stuffed. 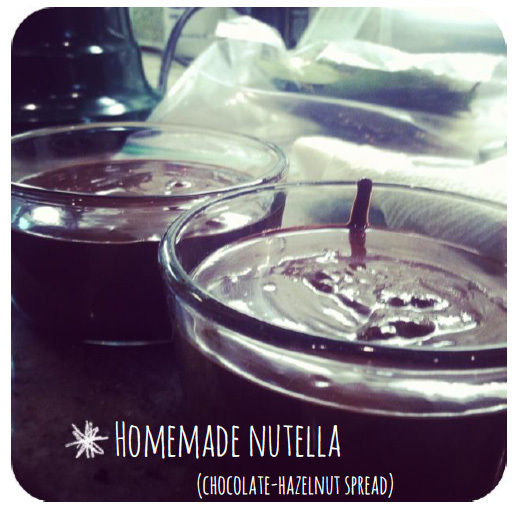 But that doesn’t make this recipe for homemade Nutella any less appealing. I whipped this up with sister Emily, here forth known as Lemur Lady- she spent the last few months in Madagascar with a cast of lemurs and the girl knows a thing or two about baking. I get it- people are crazy for nutella. There are probably entire religions devoted to Nutella. And when you can get a vat of it at Costco, it may seem silly to make your own. But trust me, this homemade version is an incredible rendition- sweet from the dark chocolate but with no sugar added, nutty and rich from the toasted hazelnuts. 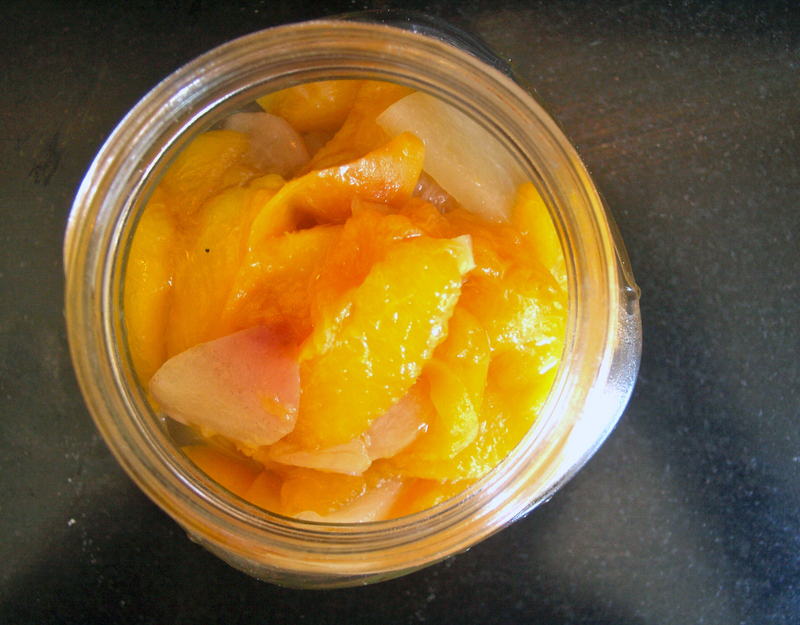 Plus, this comes out silky instead of becoming congealed like the jarred stuff- double win! 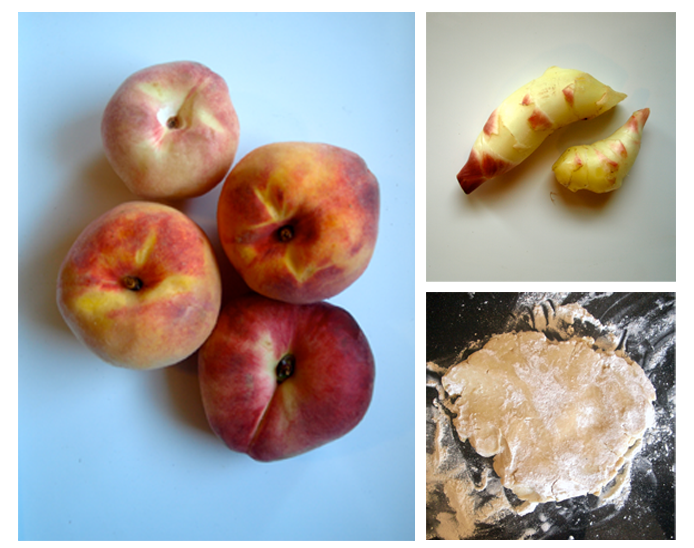 Also, it takes 5 minutes to make. So you have no excuses. To the recipe! 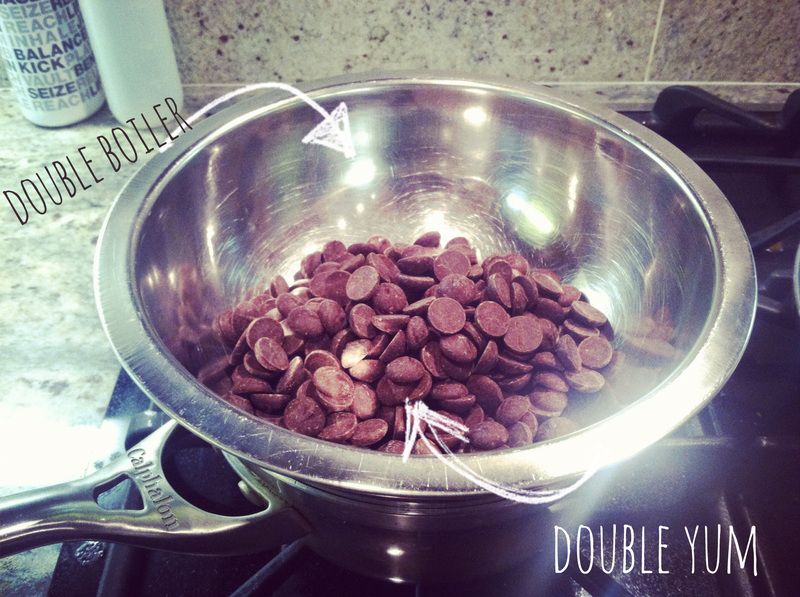 First, you’ll need to make your fancy double boiler. Fill a medium saucepan 1/4 the way with water and heat to a boil. Reduce to a simmer and fit an appropriately sized stainless steel bowl over the saucepan. 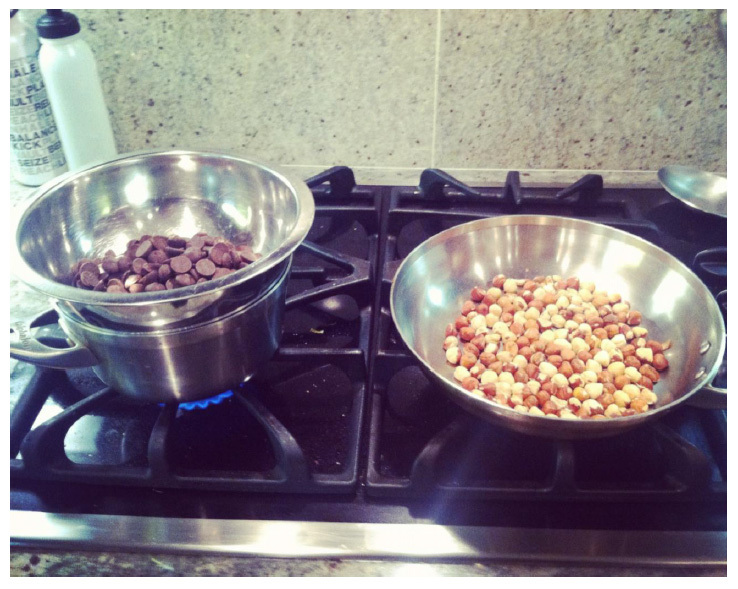 Add your chocolate to the bowl and stir constantly until the chocolate is melted and smooth. 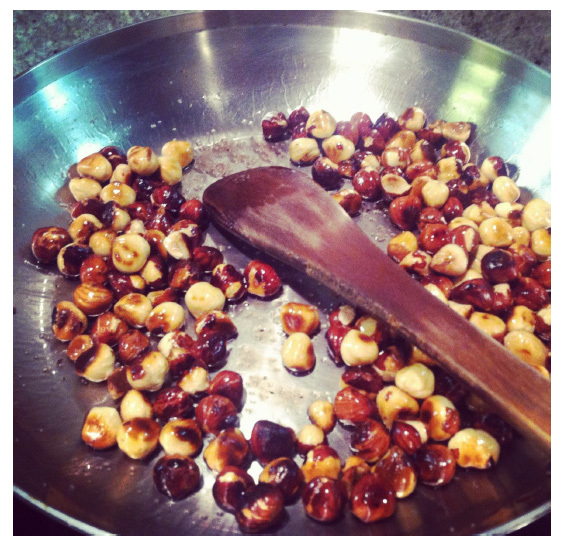 Take the chocolate off of the heat and toast your hazelnuts with 1 tbs of oil in a large pan for about 4 minutes. 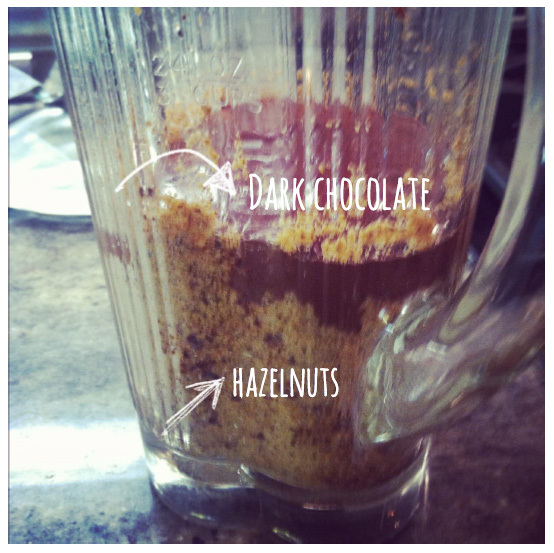 Add your hazelnuts to a blender or food processor and pulse 5-10 times, until the hazelnuts are ground. Add your chocolate to the blender and blend until smooth. 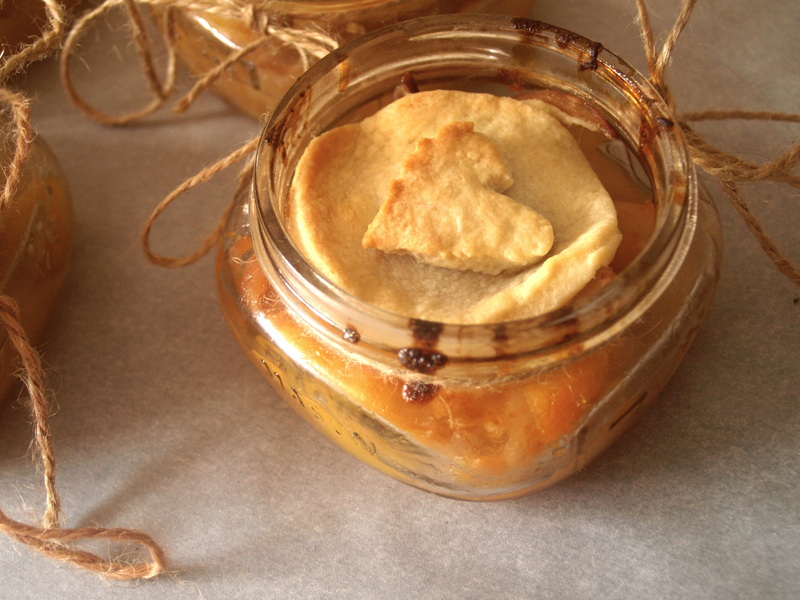 Serve immediately or in a jar in the refrigerator (who are we kidding). 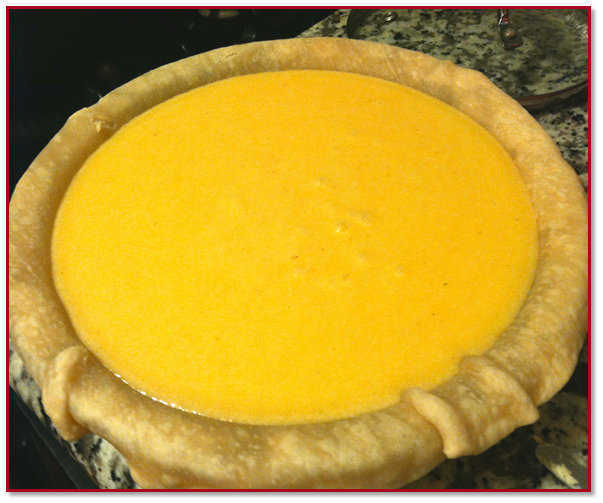 We ate it over fruit, but decided that the silky delight would be perfect drizzled over popcorn, spread on toast, or over pecan pie (ok, i did that). 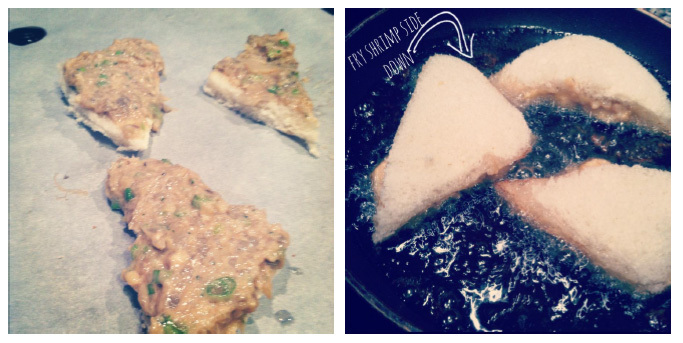 Oh shrimp toast, you perfect specimen of asian appetizers. You prince of perfect party pass-arounds. Crunchy and fried on the outside, but slightly gooey in the middle, you beckon to me on every chinese menu. But I only rarely indulge, so why not try my hand at them? Now, this isn’t one of those “Tastes-like-the-real-thing Amazingly Baked-Not-Fried Shrimp Toast” recipes. This is a “Quarter-cup of Oil, but Blot on Paper Towels if You’re Trying to Lose Weight” recipe. Start by cutting the crust off of your bread and then halving each slice (I like triangles, but you can default to your preferred shape). Set these aside. 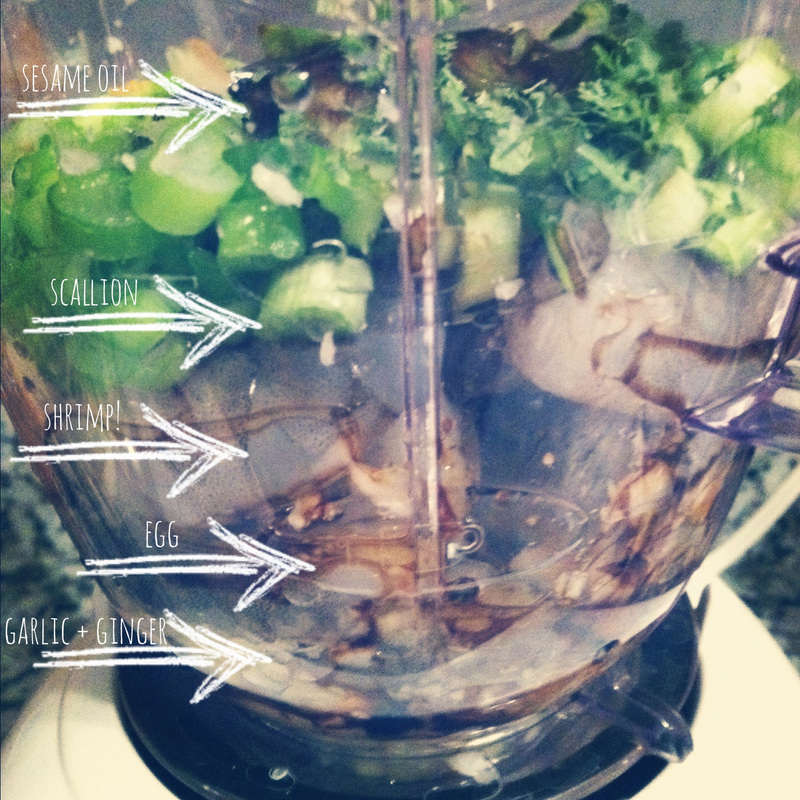 In a blender or food processor, add your ginger and garlic and pulse ~5 times. 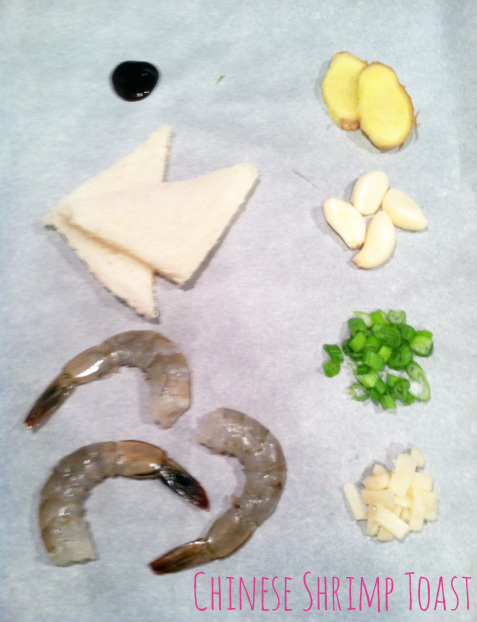 Then add the rest of your ingredients- egg, sesame oil, shrimp, scallions, water chestnuts, cilantro. Pulse ~10 times, until the whole mixture has come together but is still reminiscent of shrimp. In a wok or frying pan (I used a small frying pan to reduce the amount of oil I was using), heat 1/4 inch of vegetable oil over medium-low heat. When the oil is ready for frying (drop a small piece of bread in the oil and if it is golden in 30 seconds, then you’re golden), place shrimp toasts shrimp side down and fry for ~3 minutes until brown. Then pop them over to the bread side and fry for about 1 minute. Scoop out your toasts and drain on paper towels over a cooling rack before munching. 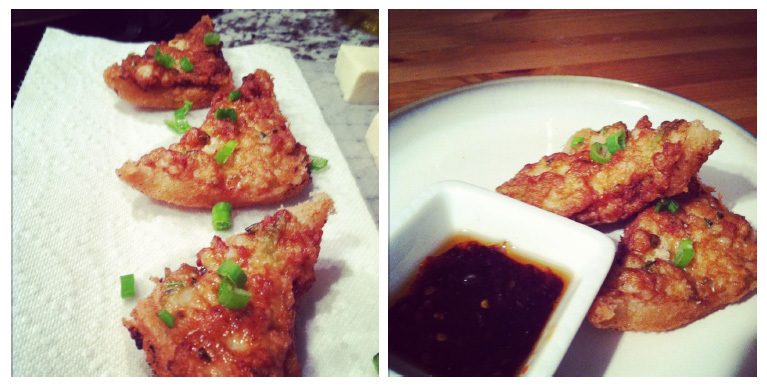 Garnish with sesame seeds and scallions, and serve with your sesame chile dipping sauce.